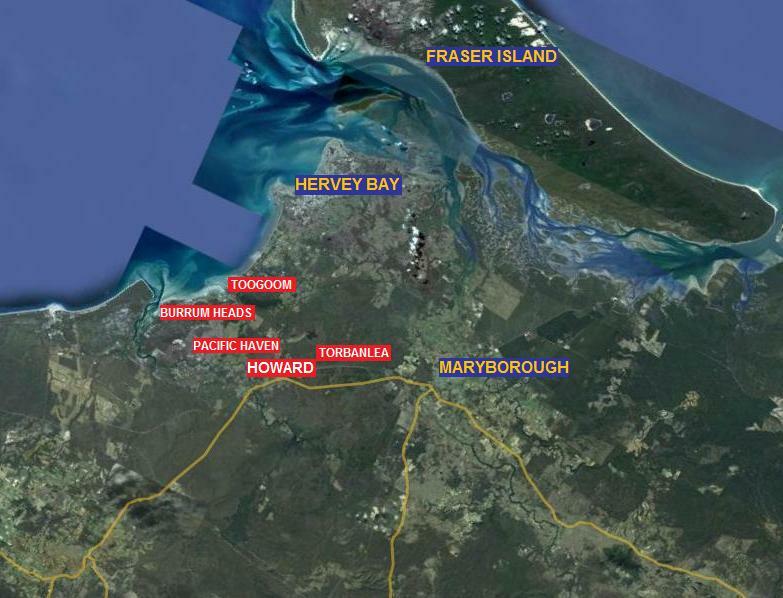 Howard is a thriving country town offering a central location near the regional centres of Maryborough & Hervey Bay. Originally settled by miners back in the 1880's, Howard's affordable housing prices combined with its unique laid back country charm and close proximity to the Burrum coastline (15 minutes) make it a very popular choice among its residents. The township offers everything you need with an IGA Supermarket, Doctor, Post Office, Butcher, Baker, Takeaway Shop, Vet, Mechanic and even a hair salon, and everything is in walking distance. The Historic Grand Hotel has lasted the test of time, and is popular today with locals and visitors alike. With future residential and commercial developments currently in the pipeline and with a continual influx of people moving to the area, Howard will continue to thrive as a progressive rural community. Torbanlea offers great lifestyle choices and a sense of history…. A landmark is the Torbanlea Race Track and Recreation Reserve. It has set the scene for many race days, picnic days, athletics carnivals, and family fun days over the years. The Torbanlea Picnic Races have become a tradition each October, attracting thousands to the district for a family fun day. The Historic Miners Arms Hotel is a must see aswell with cold beer and delicious meals their speciality. The Torbo Servo is the local fuel, post, newspaper, and grocery stop, and a great place to find out local information. On the Bruce Highway is a huge Mobil Torbanlea centre, with truck stop, groceries, restaurant and great fruit and vegetables can be purchased here. For leisure there is a choice of football, soccer, little athletics, active riders, tennis just for starters…. Bounded by the Cherwell and Burrum Rivers, the ‘haven’ is just that, a peaceful haven! Peaceful and for many a place to call home, especially on the river fronts. Just 20 minutes from the mouth of the Burrum River enjoy fishing, boating and crabbing at your doorstep. Wal’s Camp Boat Ramp allows you to put your boat in with ease, and for those who fancy leisure of a different sort, you can always fly in to the Pacific Haven Airstrip. Close to all the facilities of Howard, Pacific Haven is not far from anything and offers an ideallyic peaceful rural lifestyle!